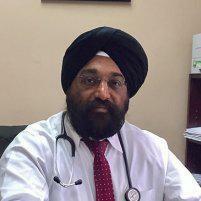 Dr. Inderjit Singh Kainth always appreciates feedback from his valued patients. To date, we’re thrilled to have collected 30 reviews with an average rating of 4.63 out of 5 stars. Please read what others are saying about Dr. Inderjit Kainth below, and as always, we would love to collect your feedback. Extremely friendly doctor and went to see him on my sisters recommendation. . It was worth the drive of 30 mins and will definitely recommend him..
Great doctor! Very qualified, helpful, and great staff. Doctor listened my words and understood my issues. Great Experience everytime I go to Dr. Kainth.